Welcome home to this 4 bedroom, 2 bathroom updated home with pool. Kitchen features granite counter tops, upgraded cabinets, stainless and black appliances. Formal dining room has serving island with storage. Enjoy the fireplace during colder months. Bathrooms also have granite counter tops. Inside laundry and plenty of storage. New roof, back fence, covered patio. Great Tempe location near 101 and restaurants, bus stops. 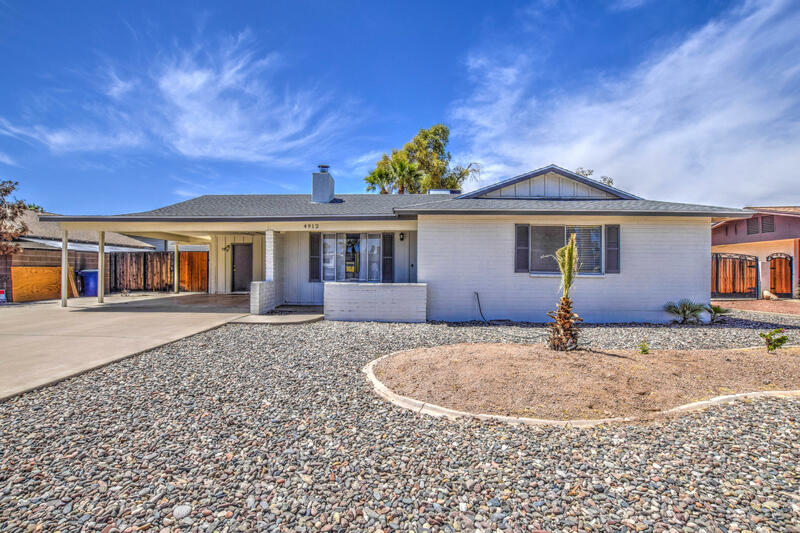 Could be a perfect investment property or just to own a nice home in Tempe. Also close to walking and biking paths and many city parks.